ISLAMABAD: More than half the streetlights in the capital are dysfunctional, and more are likely to follow. 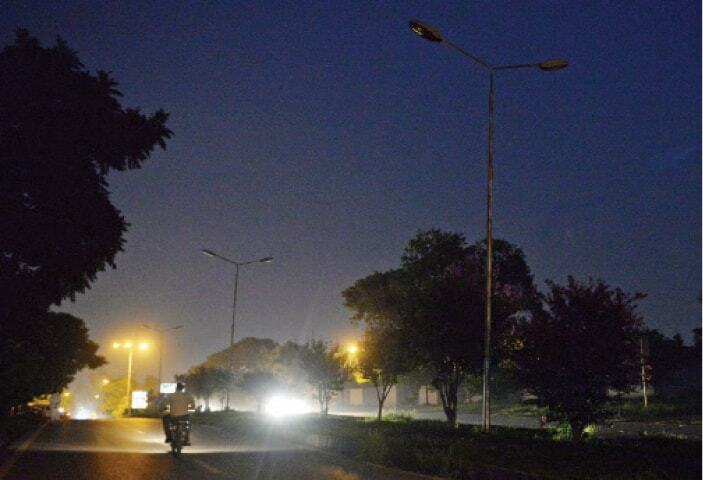 Sources in the Metropolitan Corporation Islamabad’s (MCI) streetlights directoratesaid thousands of streetlights in Islamabad are no longer functional, while the directorate itself is one of the most neglected. They said that more lights will become dysfunctional in the coming months because the directorate has no backup light bulbs and wires in its stores. The office has 14 maintenance vehicles, of which two are in working order. “This fact is enough to gauge how sincere our bosses are about streetlights and this directorate,” said an official. The directorate is also understaffed, with more than 340 sanctioned posts and around 140 employees. No replacements have been made following the retirement or transfer of officials. Previously under the Capital Development Authority ‘s (CDA) administrative control, the directorate was handed over to the MCI after the local government elections. When contacted, Mayor Sheikh Anser Aziz admitted that around half the streetlights in the city are out of order. “I do agree that around 50pc of streetlights are out of order, and only two vehicles are operational,” he said. However, he said that when he took charge, the situation was even worse. The majority of streetlights were dysfunctional then, he claimed, and he got thousands fixed in his year-long stint as CDA chairman. “Now, the problem is that we don’t have funds. 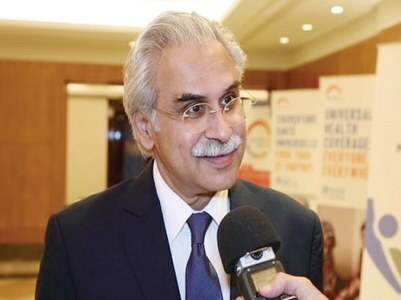 I am in touch with the CDA, which has been providing us with funding for necessary development work, for funding to repair the faulty lights,” he said. “I am concerned about the situation, and am making the effort to resolve the issues of the streetlights directorate on priority,” the mayor said. There are more than 40,000 streetlights in the capital that have been installed over the last few decades according to the streetlights directorate, but with so many out of order parts of the city are plunged into darkness soon after sunset. This has become a significant issue for residents over the last few years, but the local administration seems uninterested. Most of the faulty streetlights fall in older sectors – G-6, G-7, G-8, G-9, I-9 and I-10 – and many of the lights in CDA’s model villages are also dysfunctional. Lighting is also a problem in sports grounds, and costly lights have been removed from many grounds by ‘unknown elements’.